OZONE PARK, N.Y. – Trainer Chad Brown swept the final two graded stakes run at the Del Mar fall meeting, which concluded on Nov. 26. Now, he is eyeing several graded events at Santa Anita when that Southern California track opens its meeting on Dec. 26. 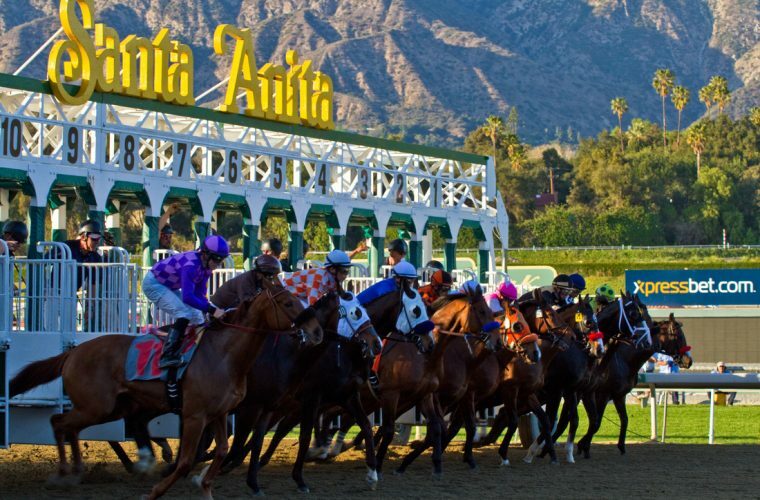 Brown said Friday that he is considering sending as many as seven horses to Santa Anita for its opening week stakes. Favorable Outcome, a recent allowance winner at Aqueduct, will be pointed to the Grade 1 Malibu for 3-year-olds on the opening-day card. Kurilov, a Chilean-bred who finished fourth in his U.S. debut in an Nov. 12 allowance race is possible for the Grade 2, $300,000 San Antonio Handicap the same day. He is also being considered for the Queens County at Aqueduct on Dec. 23. Rymksa and New Money Honey are definite, while Silver Shaker is possible for the Grade 1, $300,000 American Oaks for 3-year-old fillies on turf on Dec. 30. Elysea’s World and Penjade are both being considered for the Grade 3, $100,000 Robert J. Frankel on that same card. Favorable Outcome, who won the Grade 2 Swale in February to begin the year, was sidelined through the summer with an issue. After finishing third to Beasley in an allowance race on Sept. 30, he won a second-level allowance race by a neck going 6 1/2 furlongs at Aqueduct on Nov. 26, a race from which he earned a 104 Beyer Speed Figure. Rymska is 3 for 3 this year, with victories in the Commonwealth Oaks at Laurel and, most recently, the Winter Memories Stakes on Nov. 23 at Aqueduct. “She’s a horse that unfortunately missed the center of her 3-year-old season with mild tendonitis, but she’s come together nicely now. She’s back in good form again,” Brown said. New Money Honey won the Breeders’ Cup Juvenile Fillies at Santa Anita as a 2-year-old. This year, she won the Grade 1 Belmont Oaks. After running fifth in the Grade 1 Alabama on dirt, New Money Honey finished sixth in the Grade 1 Queen Elizabeth at Keeneland, a course over which she’s run her two worst turf races. Silver Shaker was recently beaten in a first-level allowance race. Penjade and Elysea’s World finished first and fourth, respectively, in the Forever Together Stakes at Aqueduct on Nov. 25. Elysea’s World was bottled up behind traffic while Penjade had a clear trip.